We love to provide our Members with special, free trips. It’s the least we could do since our members are what drive Venture Outdoors to keep getting people outside! 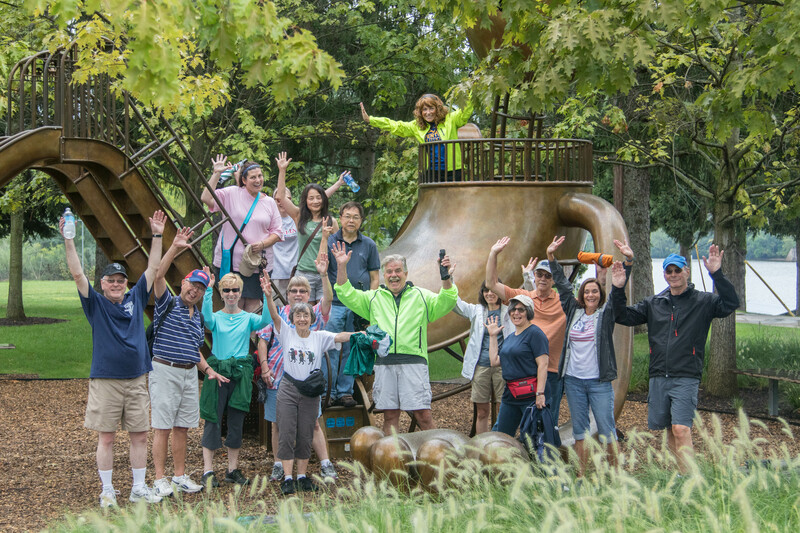 Throughout the year the programming team hand picks an outing that is only available to current Members and is completely FREE. If you would like to participate on these outings and are not currently a member, sign up or renew your membership now! Hiking boots or comfortable walking shoes appropriate for the terrain. Trip Leaders make every attempt to plan routes that include bathroom stops at or near the meeting location or during the trip. The type and availability of facility depends on the time of year and location. Urban settings and many parks offer flush toilets or port-a-johns. Some locations do not have bathroom facilities and participants are encouraged to practice Leave No Trace principles when going in the woods. The Trip Leader will share specifics about bathroom facilities at the beginning of the outing, and details are often provided in the pre-trip information sheet. No! We love being outside in the rain! With the appropriate clothing you can be comfortable in a variety of weather conditions. We encourage participants to pack a rain jacket and pants on all activities because the weather in Southwest PA is variable. It’s smart to keep a towel, change of clothes, spare shoes, and a plastic bag in your car so you’ll have dry clothes for your return trip and a place to stow your damp or wet items. Umbrellas are a great option for urban hikes. Wear the appropriate footwear for the trail or street conditions. If the Trip Leader determines that trip conditions exceed the group’s comfort level, the trip may be cancelled. If this decision can be made during regular office hours (9 AM -5 PM, Monday-Friday), participants will be called and emailed by staff. If the decision is made outside of regular office hours the Trip Leaders and on-call staff try to decide at least two hours in advance. Weather is variable and the Trip Leader may opt to cancel the outing at the trailhead or make modifications during the trip. Perfect weather, awesome hikers, great views of our beautiful city. The incline ride was a sweet bonus!